BR&E Programme kicks off in New Germany! Creating jobs has become top priority nationally in view of South Africa’s 27.6% unemployment rate. In tackling this challenge, it is essential to remember that 60-80% of all new jobs are created by existing businesses, whom are also responsible for 70% local investment. Moreover, actions that create an environment in which existing businesses can flourish will also benefit new businesses and attract the interest of outside investors. eThekwini Municipality has been active in the Business Retention & Expansion (BR&E) programme in a number of ways. The Municipality’s role in the Toyota expansion is a prime example as is its support for clustering initiatives and for catalytic infrastructure developments. Since 2005 Durban Investment Promotion has conducted six BR&E programmes in partnership with the Durban Chamber of Commerce and Industry, plus other localised Business bodies. These have impacted on some 3,500 businesses using a locally driven process that surveys business needs and priorities while mobilising business and other local role-players to address them. A key lesson of the City’s Investment Promotion programme has been that the quality of the process plays a major part in determining the action that follows. Analysis of key issues in each area has been formalised and properly reported on for all to work on. Common issues of concern to business revealed by these surveys in the past include crime and grime, skills shortages, heavy vehicle traffic congestion, waste and electricity supply problems and the need to improve how local business is organised. At the Business Retention & Expansion event on Thursday 9 June, The Speaker of the eThekwini Municipality, Councillor Logie Naidoo and President of the Durban Chamber of Commerce and Industry Mr Zeph Ndlovu officiated and launched the BR&E Programme. Russell Curtis, HOD of Durban Investment Promotion outlined the importance of the BR&E Programme in retaining jobs and attracting investment. 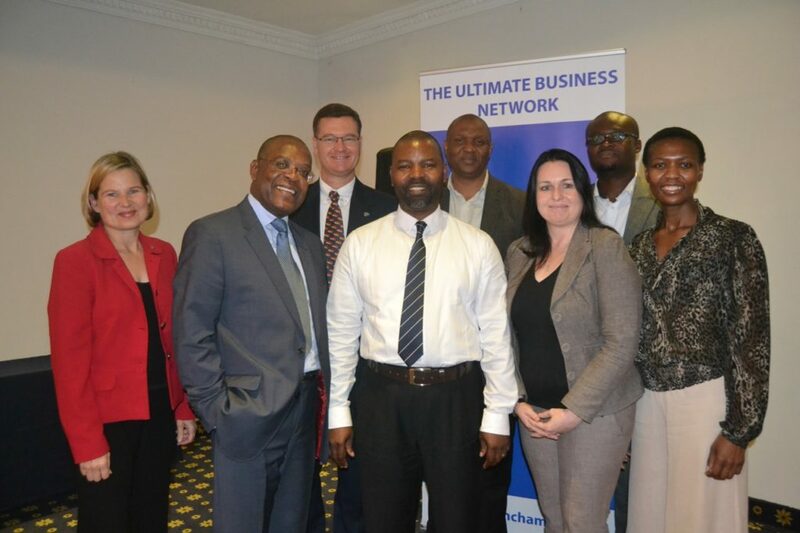 Business was advised of the Go!Durban progress by Head of the eThekwini Transport Authority, Mr Thami Manyathi. Business opportunities surrounding the procurement of the transport components would further emerge in 2017/2018 once the transport network was operational. Dr Nuthan Maharaj, Senior Professional Planner in the Economic Development and Investment Promotion Unit of the eThekwini Municipality alerted business persons attending the Launch about the new Incentive Policy set to kick off on the 1st 1July 2016. A new One-Stop Shop would provide existing and new large investors to the City with support through the regulatory and infrastructure provision processes, plus would manage the incentive application procedure for the catalytic projects. South Africa, KwaZulu-Natal and Durban is in the grip of a severe drought and Mr Bongani Hlophe, Community Liaison and Education in the Water and Sanitation highlighted the measures that both eThekwini and Umgeni Water would have to take if all communities were not vigilant about saving water. To round off the BR&E Launch, Miss Kathleen Hall, Legal Advisor of the eThekwini Municipality introduced the new Bylaws especially those relating to the BR&E Programme namely the Nuisance Bylaws in order to create safe and friendly public places and community environments. Different BR&E approaches will be taken within New Germany. One of these is asking business about their concerns, ideas and opportunities. Through the eThekwini Municipality’s Durban Investment Promotion, this locally driven and implemented programme has been initiated by local partnership with the Durban Chamber of Commerce and Industry and supported by Trade and Investment KwaZulu-Natal. The BR&E programme is managed by Task Team of local leaders including eThekwini Municipality’s BR&E Project Manager, Sibusiso Makhathini, Samala Morgan, DCCI Western Area Liaison Officer and Perusha Govender, Business Retention Officer, TIKZN. The day to day running of the programme will be led by BR&E Local Co-ordinator, Monique Labat in conjunction with associate Dumisani Ndlela. A survey of the businesses within New Germany will be conducted. Business will be asked about the pros and cons of doing business locally, obstacles to growth and ideas for growth. Action Teams on each of these will then be launched. All participants will receive the results of the survey at the Feedback Session in August and priorities will be set so that local teams may implement subsequent actions. Click here to download the BR&E Survey Form. For more information please contact BR&E Local Co-ordinator Monique Labat on Email: Monique@moniquelabat.com or Mobile: 082 924 6349. 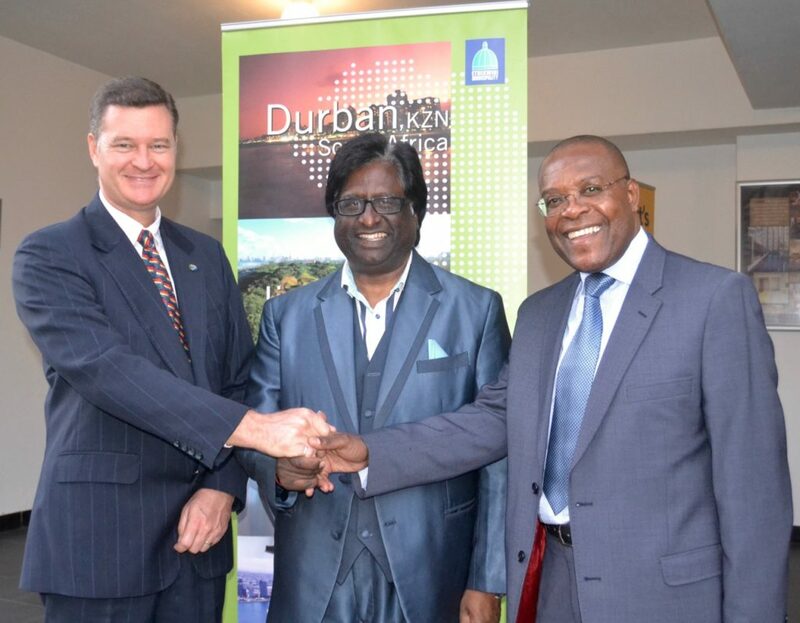 Russell Curtis, HOD of Durban Investment Promotion, Cllr Logie Naidoo, Speaker of the eThekwini Municipality and Zeph Ndlovu, President of the Durban Chamber of Commerce and Industry.